President Donald Trump tweeted a new set of insults on James Comey on Sunday, challenging accusations the former FBI director and insisting that he never pressed Comey to be loyal to him. This is a preemptive attack on the former FBI director James Comey who is due to release a tell-all book this week. 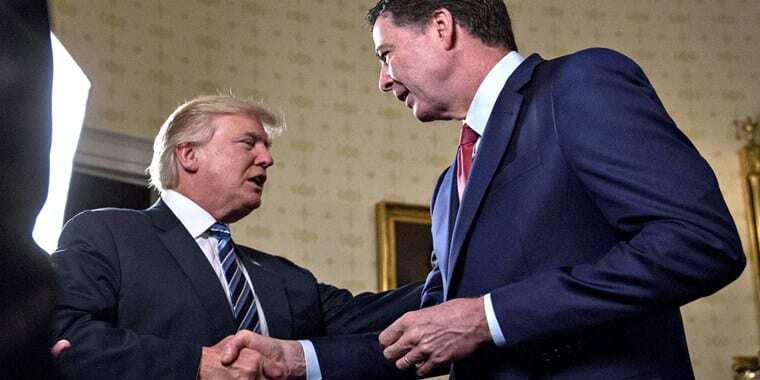 Trump fired Comey last May, setting off a firestorm, as the Federal Bureau of Investigation (FBI) was probing possible connections between Trump’s 2016 presidential campaign and Russia’s meddling in the American elections. The US President took to twitter and blasted Comey in a tirade of tweets. The twitter attacks by Trump came as ABC News was set to air an interview with Comey at 10 PM EDT on Sunday (0200 GMT Monday) in which he discusses his book A Higher Loyalty. The president is wearing of the media-storm that these book launches have caused in the past. Most recently with his former right hand man Steve Bannon, who released a book last year exposing the inner workings of the Presidents administration. Trumps lawyers had to take legal action to issue a cease and desist letter accuses Bannon of violating a non-disclosure agreement by speaking about his time on Trump’s election campaign to Michael Wolff, whose new book has caused shock-waves in Washington.